when a tree grows cover reveal! 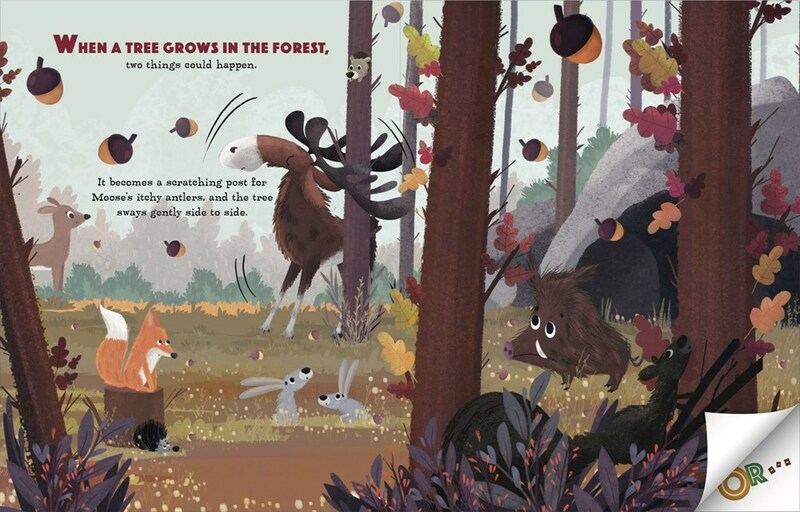 When A Tree Grows written by Cathy Ballou Mealey and illustrated by Kasia Nowowiejska will be published on April 2, 2019. But today, today is the cover reveal! The whole story uses this format of one thing could happen OR another thing could. That’s what moves the story along. It’s a great technique for suspense and humor with a bit of a guessing element. And I could see it being used to teach storytelling to kid writers to. 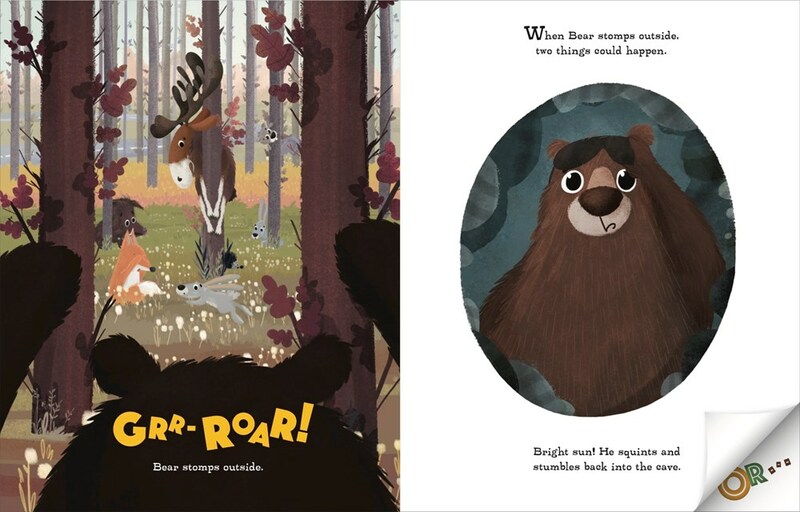 At its heart, this is a kind of adventure story for Squirrel that ultimately brings Squirrel back to the character who set off the whole adventure: Squirrel’s friend Moose. 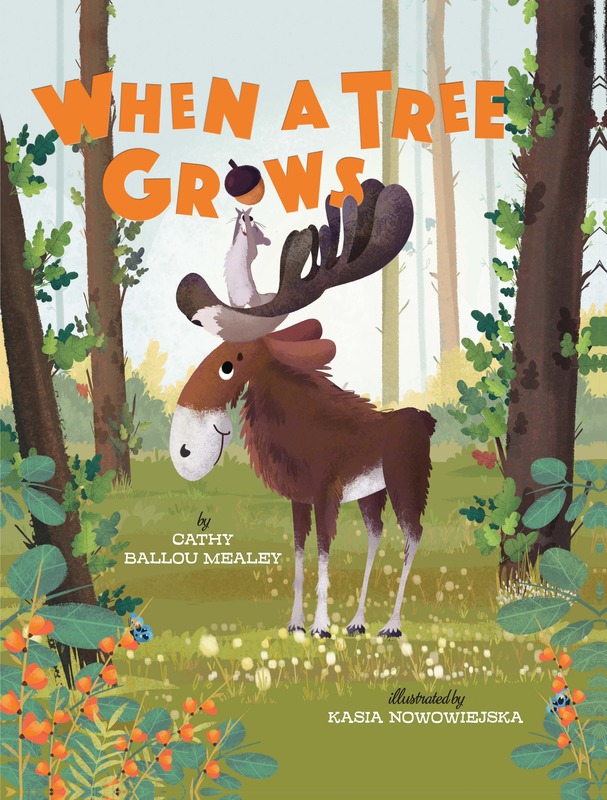 I asked Cathy Ballou Mealey, the author, about “or” situations in her own writing journey and about her debut picture book. This Picture Book Life: Did you have a significant this “OR” that moment in your own writing journey, a fork in the road that determined your path? Cathy Ballou Mealey: Absolutely! Joining a critique group in the metro Boston area was the fork in the road that made all the difference in my writing journey. Green as a leaf in springtime, I had already enrolled in SCBWI and written at least a dozen “not ready for prime time” picture book manuscripts. I was eager for feedback on my work, but I learned the most from actively observing the working rhythms of this cohesive, supportive and experienced group. Collaborate with talented, thoughtful and engaged writers and illustrators who love books. I highly recommend that you choose the *OR*! TPBL: How did you come up with the idea for this story, and specifically the super inventive format? Cathy: While our family was enjoying a woodsy hike, an unusual Crash! led us to speculate whether a tree had fallen or an animal was coming our way. We froze, listening for clues. Heart pounding, I tried to recall whether to hide, run, or confront whatever wild creature might appear. “It must have been a tree,” we reassured the kids after a long silence. As we hiked on I wondered, What if the falling tree had scared a bear, or frightened a deer? Thus the initial seeds of this story were planted in my brain. TPBL: What was the process of developing the method of having “or” in the corner of each page as the text and illustrations were plotted out in picture book format? Cathy: To emphasize the *OR* and ensure that it would lead directly to a funny or surprising page turn, I inserted plenty of white space into my manuscript around the word itself. In my early drafts, I brainstormed to generate as many potential *OR* consequences as possible. That led to a door-sized diagram of sticky notes, plotting events that could lead from one thing to the next with increasing intensity! Ryan Thomann was the talented art director at Sterling who developed the curled page corner effect, which I think adds so much to the *OR* page turn! Big thanks to Cathy for talking with me and to Sterling for images! 11 Responses to when a tree grows cover reveal! Thank you Beth! I hope it sprouts soon too! Cathy, this sounds fantastic! Looking forward to reading! Cheers Lauri! Thanks for your support! Very cute cover! And it sounds like a very neat story. Congratulations! Thank you Janet! So kind of you to say that! This sounds like so much fun. Great idea! And that squirrel reaching for the nut on the cover is hilarious. I love that too David. And the acorn is Sterling’s corporate logo! I need to put in a pre-order for about five copies! PJ – I believe that is my favorite comment today! Thank you! Wow, this sounds like SUCH a wonderful story—and those illustrations! GORgeous! Cathy, you hit the jackpot with Kasia 😀 Congratulations!! !